"I never think of myself as an icon. What is in other peoples minds is not in my mind. I just do my thing." Oh Audrey, can we adore you more? 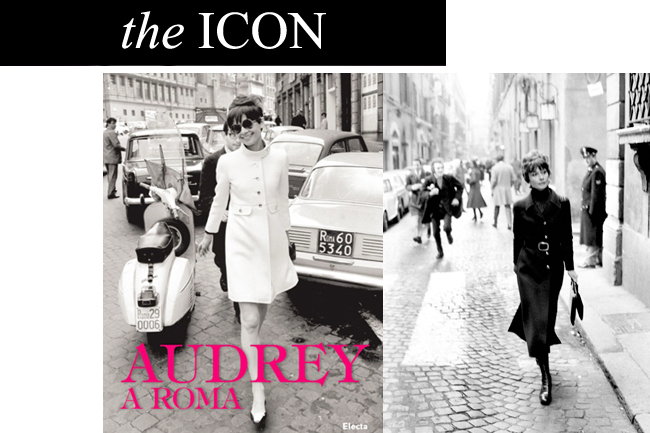 Pure style in 200 pages of Audrey in Rome. Because this is the pure style, natural, intrinsic, ours...on the real life. As i couldn't delay this Most Wanted for soon, is right now on its way to our home. From Rome to my heart. "I never think of myself as an icon. What is in other peoples minds is not in my mind. I just do my thing." Oh Audrey, can we adore you more? Estilo puro em 200 páginas de Audrey a Roma. Porque isto sim é que é o estilo puro, natural, intrínseco, nosso...na vida real. Como não consegui adiar este Most Wanted para breve, está agora mesmo a viajar para a nossa casa. De Roma para o meu coração.